The US Department of Veterans Affairs and T-Mobile announced on Monday that T-Mobile would be adding 70,000 lines of wireless service to increase telehealth services in the VA network and expand services to veterans, especially those in rural areas. The expanding network will connect veterans at home and at VA facilities, such as community-based outpatient clinics (CBOCs), with VA clinicians within the VA network. This adds to VA’s push this year to extend telehealth to distant veterans in rural areas through initiatives such as with T-Mobile and the Spok Health – Standard Communications partnership to expand the Spok Care Connect messaging service to more VA healthcare systems. The VHA (Veterans Health Administration) has long been the largest user of telehealth services in the US. Until recently, their emphasis has been on store-and-forward and clinic-based patient consults, but finally Home Telehealth (HT) is being supported. 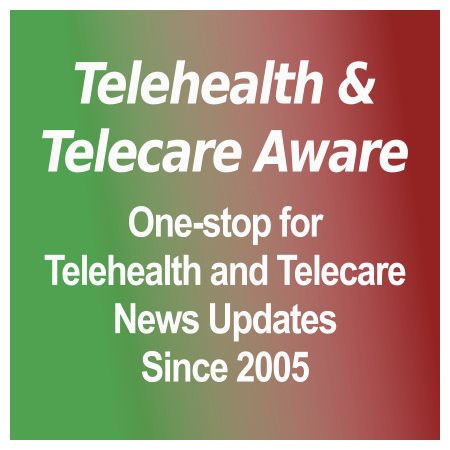 Reportedly, only 1 percent veterans used Home Telehealth, while 12 percent used other forms of telehealth [TTA 24 May]. Yet the VA was among the earliest users of remote patient monitoring/home telehealth, dating back to 2003 and even earlier, with companies such as Viterion and Cardiocom. While most of the news about VA has been about their leadership changes and their difficulties around EHRs, their ‘Anywhere to Anywhere’ program was finalized in May. This allows VA practitioners to provide virtual care across state lines to veterans, regardless of local telehealth regulations. The Department of Veterans Affairs ‘Anywhere to Anywhere’ program, which would enable VA doctors to treat VA patients across state lines via telehealth and telemedicine, yesterday (2 October) published in the Federal Register the required Federal proposed rule. There is a mandated 30-day comment period (to 1 Nov). In the Federal government, these rules move faster than any legislation. From the rule: “VA has developed a telehealth program as a modern, beneficiary- and family-centered health care delivery model that leverages information and telecommunication technologies to connect beneficiaries with health care providers, irrespective of the State or location within a State where the health care provider or the beneficiary is physically located at the time the health care is provided.” PDF of rule. VA Home Telehealth has both doctor-to-patient telemedicine and vital signs remote monitoring components. While VA is fully able to waive state licensing requirements if both the physician and the patient are in a VA clinic, because of state telemedicine laws they have not been able to provide the same care for veterans at home. VA also has a care distribution problem, with many veterans living in rural areas, at great distances from VA facilities, or with limited mobility. What this will enable is VA hiring in metro areas primary care and specialist doctors to cover veterans in rural or underserved areas and the expansion of mental health care. It also will facilitate the rollout of the VA Video Connect app for smartphones and video-equipped computers now in use by over 300 VA providers [TTA 9 Aug]. One mystery solved! Iron Bow Technologies announced that its telehealth delivery partner for their award of $258 million in the Veterans Affairs Home Telehealth program is Plano, Texas-based Vivify Health. As noted in our original article [TTA 6 Feb] on the much-delayed VA remote patient monitoring award, Iron Bow was an existing contractor in other VA Telehealth services, Clinical Video Telehealth (video conferencing) and Store-and-Forward (clinical imaging review), but did not have vital signs RPM capability. The addition of Vivify with its mobile and tablet-based solutions and integrated peripherals adds that capability. Vivify structures its main telehealth solutions based on escalating patient ‘risk’: 1) healthy and ‘at risk’ (may have early stage disease), 2) rising risk (has complex chronic disease) and 3) high risk (for hospitalization). The approaches are scaled up from engagement on BYOD mobile and web for (1), to vital signs monitoring and telemedicine clinician visits via mobile and tablet (2), to the highest level of an integrated kit with tablet and integrated peripherals (3). These further divide into five ‘pathways’ which are more product-oriented. Cost is, of course, a factor, with VA a very demanding client in this regard as individual VISN (region) budgets are tight. 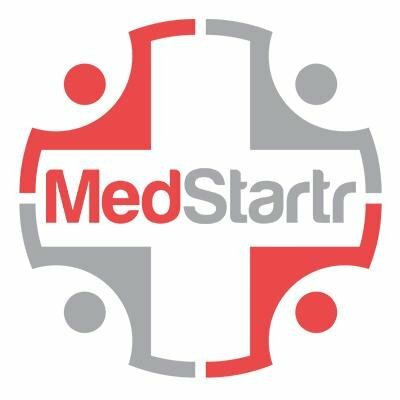 Medtronic, the incumbent, has not only been using the venerable Cardiocom Commander Flex hub, but also provides VA with Interactive Voice Monitoring (IVR) which is an inexpensive patient management solution. (Ed. note: having worked with IVR in the past, it can work well if used with primarily lower-risk patients, is structured/implemented properly and integrated with live clinical check-ins.) Vivify’s system is all new–and not inexpensive, especially at the high-risk level. From their website, Vivify uses BYOD for the lower levels and the integrated kit for the highest and poorer outcome patients. This Editor notes they offer a voice telephony care solution which presumably is IVR. This gives them a welcome flexibility in price, but also a complexity which will be a training issue with VA care coordinators. Other factors affect mobile-based solutions. Many at risk at-home veterans are older and thus don’t have smartphones or tablets. Reliable broadband connectivity is also an issue. Many don’t have Wi-Fi, which is a prerequisite for tablet use, and may live in areas with poor cellular reception. The other work and labor-intensive parts for Vivify and Iron Bow are to integrate their reporting platform into VA’s complex and secure systems, which also involves a highly structured updating process: CPRS (computerized patient record systems), the VistA EHR and whatever replaces it (Epic is being trialed in Boise, Idaho–scroll down to ‘Big Decisions’ and Dr Shulkin). Founded in 2009, Vivify has compiled an impressive track record with CHRISTUS Health (TX), RWJ Health (NJ), Trinity Health (MI), Centura Health (CO) and other large systems plus home care. It has also been conservative in its venture funding, with $23.4 million to date and its last big round from LabCorp and others in 2014 (CrunchBase). Release. Hat tip to Vivify’s Bill Paschall via LinkedIn. P.S. Stay tuned for an announcement of 1Vision’s partner. Editor’s clarification: The VA Home Telehealth contract is structured as a one-year base period, followed by four one-year optional periods, for five years total. The awarded amount over the five-year period is $258 million for Iron Bow/Vivify. It is the same amount/term for each of the three other awarded companies, totaling just over $1 billion for the five-year program. This is comparable to the 2011 five-year program value of $1.3 billion divided over six awardees. Thanks to Josie Smoot of Iron Bow Technologies’ press office.